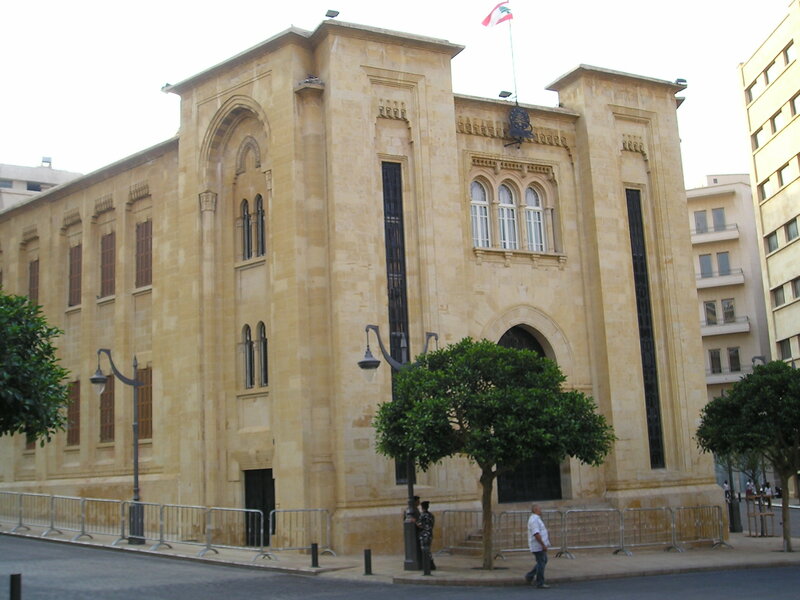 So here we are – after eight months, Lebanon finally has a government again. Headed by Saad Hariri, the thirty-strong cabinet brings together representatives of the country’s main political factions, from President Michel Aoun’s Free Patriotic Movement and Hariri’s own Future Movement to Hezbollah and the Christian Lebanese Forces. Will it be third time lucky for Hariri, whose first cabinet collapsed when ministers walked out while he was visiting Barack Obama at the White House, and whose second spell in office almost ended in that now infamous televised resignation, his haggard face broadcast live to bemused Lebanese viewers from Riyadh? And what does the government’s composition tell us about the prospects for Lebanon and the Middle East? Hariri has pulled off a trick many thought impossible, somehow conciliating the competing demands and interests of Lebanon’s leading factions. He can now ‘get to work’, and attempt to address the many issues facing the country – not least meeting Lebanon’s obligations to the foreign lenders who pledged their support at the CEDRE conference in April 2018. These are stormy times for Lebanon’s economy, with the World Bank calling for urgent structural reform, and Moody’s downgrading the country’s credit rating. The government’s formation must surely help to ease international anxiety. So why has it been greeted with such a tepid response in Lebanon? Part of the reason, surely, is the numbing sense of tedium that accompanied the long-running saga of its formation, when the intransigence shown by various parties – not least Hezbollah and the FPM – made Westminster politics seem the very model of compromise. This weight-throwing and deal-mongering are by now, all too familiar to the Lebanese. As I’ve written elsewhere, many are worn out by the prevarication, vacuums and executive atrophy that have come to dominate Lebanese political life. Few see any hope in this politics of the permanent present, focused entirely on short-term gains and lacking a coherent vision of the future. No surprise, then, that turn-out in the 2018 parliamentary elections was only 47% – a damning indictment in a country where electoral inducements are hardly unknown. The war of attrition fought over the last eight months will only have added to the ambient exhaustion and anxiety. The civil society activists who sought office in 2018, meanwhile, remain hampered by the Lebanese political class’s remarkable ability to close ranks against external challengers. Like all good, self-respecting private members’ clubs, they will only admit those sure to abide by the rules. Despite continuing protests against economic, political, and environmental crisis – in December, the gilets jaunes even made it to Beirut – civil society remains largely locked out of the halls of power. Wearyingly familiar, too, is the cabinet’s composition. Once again, the same old faces have shown up at the party. It is not just Hariri and Bassil who have held on to their jobs. All in all, ten of the cabinet’s members have previously held ministerial office. Lebanon’s citizens might be forgiven for feeling they are experiencing déjà vu. And if so little has changed, what hope can they have that longstanding everyday issues such as electricity provision, waste collection, and stagnating wages can be tackled? Just as troubling, though, is the sense that this is a cabinet whose composition is largely dictated by regional considerations – and, in particular, by the desire of Lebanon’s politicians to profit from the long-foretold end of the Syrian civil war. Since 2017, reports have been multiplying of Lebanese attempts to capitalise on the windfalls of Syrian reconstruction, as Bashar al-Assad’s once-embattled forces, and their powerful allies, gain ground across Syria. These preparations now appear to have stepped up a gear. Hassan Mrad, the newly-appointed minister for foreign trade, is the son of a Sunni politician with longstanding ties to Damascus. (For foreign trade, read renewed relations with Syria.) Also significant is the appointment of Rayya Hassan, a close Hariri ally, as Lebanon’s first female interior minister. A former finance minister, Ms. Hassan is also head of the Tripoli Special Economic Zone. Tripoli, widely seen as a bridgehead for Syrian reconstruction, has welcomed both Chinese and Russian investment in recent months. It’s hard to escape the feeling that Lebanon’s politicians are betting on the country’s ports, banks, and construction companies playing a leading part in Syria’s reconstruction, and looking to new eastern allies to broker their deals. All of this will be scant comfort to Lebanon’s citizens, who can’t be blamed for feeling that their own needs might, for once, take precedence. And nor will it ease the concerns of Lebanon’s estimated 1.3 million Syrian refugees. The minister responsible for their fate is an ally of President Aoun, who called for their return to ‘safe zones’ inside Syria at the 2018 UN General Assembly. Bassil is already echoing his father-in-law’s message, telling his EU counterparts: ‘the only way they will not come to you is if they go home’. How such a message, and Beirut’s growing economic rapprochement with Damascus, Beijing, and Moscow, will go down in Brussels can only be imagined. One thing, though, is clear. If Lebanon, as so many are fond of saying, is a regional weathervane, then the winds appear to be blowing from the east.